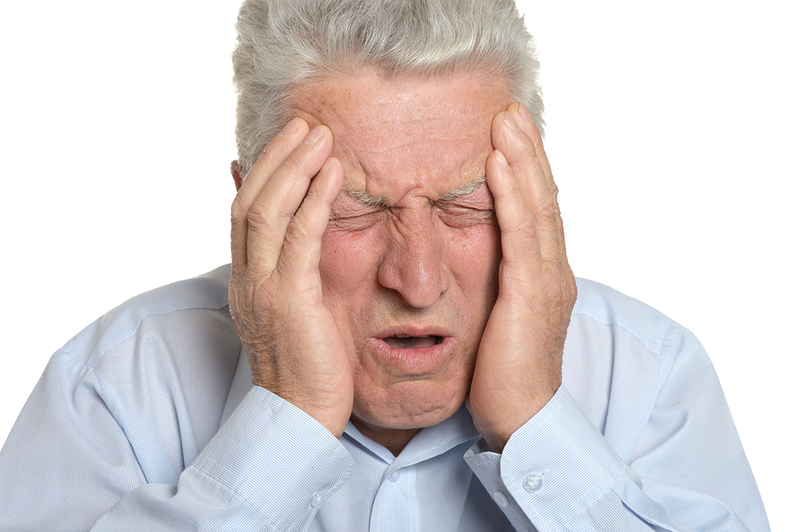 Welcome to Purposed Physical Therapy's resource about headaches. The anatomy of the head, neck and brain is complex and extensive. In regards to headaches, it is important to be aware of some specific anatomical structures within this region. Although the bones of the skull themselves are not responsible for the pain associated with a headache, it is worthy to know the names and location of the main skull bones when discussing headaches. For instance the frontal bone is the skull bone that lies under the forehead. Health care professionals may refer to headaches as being a ‘frontal headache’. Similarly, most people know where their temples are, which are the soft indentations at the side of the forehead. The temples overlie the temporal and sphenoid skull bones. The occipital bone is at the back of the head. Headaches in this region are often termed occipital headaches. The maxillary bone is the bone that houses the top row of teeth. The mandible, houses the bottom row and is more commonly known as your jaw bone. Lastly, the two parietal bones are the large skull bones at the top of your head above your ears. The temporomandibular joint, or TMJ, is in layman’s terms, the jaw joint. The TMJ connects the mandible bone to the skull itself. The TMJ is a complicated joint that contains a moveable disc. The joint works to open and close your jaw for activities such as speaking, chewing and singing. The anatomy of the upper neck is also very important in regards to headaches, as irritation of the structures in this area can be the culprit leading to certain types of headaches. The upper three neck (cervical) vertebrae and their related anatomical structures in particular often contribute to pain in the head. The upper most cervical vertebrae (C1) is called the atlas, and the skull sits directly on this vertebrae. The next vertebrae (C2), is called the axis. The axis has a protruding piece of bone called the odontoid process that fits into the atlas above; C1 and C2 work together to create rotational movement of the head on the neck, and this joint alone allows 45 degree of left and right rotation of the head. The third cervical vertebrae (C3) is similar to the rest of the lower cervical vertebrae, but due to its close proximity to the upper neck, it acts more closely in conjunction with the atlas and axis during neck movements. The main nerves in the body provide sensation (sensory supply), movement (motor supply), or both. The sensory and motor nerve supply to the upper neck, head and skull come from the nerves that are associated with the upper three cervical vertebrae (C1, C2 and C3) as well as from one of the cranial nerves that originates from inside the brain (the trigeminal nerve). The nerves associated with the upper three cervical vertebrae originate from the spinal cord deep within in the neck. The C1-3 nerves supply the local neck structures of the upper three vertebrae such as the ligaments, joints, muscles and tendons. The C1-3 nerves also combine together to create larger nerves, which supply the skin sensation to the occipital and parietal regions of the skull. The sensory and motor nerve supply to each side of the face and jaw comes from the trigeminal nerve on that same side, which is one of the twelve cranial nerves that originate from deep inside the brain. The trigeminal nerve (also termed the 5th cranial nerve or CN V) has three branches, the ophthalmic branch, the maxillary branch, and the mandibular branch. These branches together supply the sensation from high above the forehead and temple area all the way down to the jaw including the nose, lips, teeth, gums and sinuses. The motor supply of the trigeminal nerve includes some of the muscles of mastication (chewing) including the large temporalis muscle and the strong masseter muscle. The trigeminal nerve also supplies nerve input to a number of the blood vessels of the brain as well as the lining of the brain (the meninges). Another important cranial nerve in regards to headaches is the facial nerve (also termed the 7th cranial nerve or CN VII). This nerve supplies motor function to the muscles used to create facial expressions as well as the occipitalis muscle as the back of the head. It also supplies sensation to part of the tongue including the sensation of taste in this area. In regards to the headache-related muscles of the head, neck and shoulder, there are many muscles that can be associated with headache pain, however a few are more worthy of noting than others. In some types of headaches, muscles may get tight themselves and cause a headache, but in many other cases, the headache pain itself results in associated muscles becoming tight and painful. As mentioned above, two of the main muscles of mastication, namely the temporalis and the masseter muscles can be related to headache pain. These muscles are in close anatomical proximity to common headache locations and their nerve supply, the trigeminal nerve, also supplies the sensation to the front of the head and temple area. The temporalis muscle is located on each side of your head under the temples; if you clench your teeth while touching this area you will feel the temporalis muscle bulge under your fingers. The masseter muscle is located over each jaw. Similarly if you touch this area and again clench your teeth you will feel the masseter muscle bulge. The occipitalis muscle is located on either side of your head at the back of the skull, behind your ears and towards your neck. The function of this muscle is to move the scalp backwards. There are several small muscles at the extreme upper part of the neck, which attach from one vertebrae to the next as well as attach from the top two vertebrae (C1 & C2) up onto the skull. Collectively these muscles are called the suboccipital muscles. They are responsible for some of the movement of the upper two cervical vertebrae as well as some of the movement of the head itself on the neck. The trapezius muscle is the large muscle at the top of your shoulder, which creates the angle of the neck. Beneath this muscle are several long muscles of the neck, which attach from the cervical vertebrae down to both other cervical vertebrae and extend even farther down into the thoracic region. In addition to the nerves, and muscles of the head, neck and jaw there is a network of blood vessels that carry blood to all the structures of this area including the brain. This network of vessels is extremely complex and too extensive to describe but they should be noted as important anatomy that can be related to headache pain. Lastly, the brain itself is an important structure to discuss in regards to headaches. The main brain structure that most people think of when the brain is mentioned is termed the cerebral cortex. The cortex assimilates a great deal of the information that is sent to the brain. It plays a major part in memory, attention, perceptual awareness, thought, language, and consciousness. The cortex is divided into specific lobes, which are named similarly to the skull bones of the same area. These are the frontal, parietal, temporal and occipital lobes. Each area is specifically responsible for a function of the brain. Although the brain in its entirety is obviously important, the occipital lobe, which is the primary vision center of the brain, is particularly important to note when discussing headaches. Concurrent visual disturbances occur for many people during headaches and this is thought to have something do with brain input to and from the occipital lobe. It should be mentioned that the location of your headache pain is not often in the same location as the structures that are causing your pain and this is termed referred pain. Referred pain occurs when an irritated structure causes pain in another location away from the original irritated site. Headaches can be caused by a large variety of reasons. Those suffering from regular headaches are often aware of the cause of their headache, however in many cases, the cause of a headache may go unknown. There are two basic categories of headaches, namely primary and secondary. Primary headaches are those headaches that are caused for no specific underlying reason. They are not the result of any specific disease or process and are commonly thought of as being a result of a problem in brain function rather than a problem with the brain’s basic structure itself. Primary headaches include migraine & cluster headaches as well as tension-type headaches. Being that there is no underlying brain structural problem with primary headaches, it is important to note that there are no investigative tests such as magnetic resonance imaging tests (MRIs) or computed tomography (CT) scans that can be done to determine an exact reason for the headache. If you suffer from primary headaches, however, some investigative tests may still be used to rule out other causes of your headaches. Secondary headaches result from another problem, which has a headache as a symptom of the underlying initial problem. Secondary headaches can result from a huge variety of problems including head and neck injuries, inflammatory processes within the body, hormonal issues, as well as more serious causes such as brain tumors or aneurysms. Migraines are often described as a severe (and often unbearable) throbbing or pulsating pain in one or both sides of the head, often around the temples, front of the head or behind an eye. Approximately 15-20% of migraine headaches are accompanied by a sensory aura, which is a particular sensation that, in adults, precedes the actual headache pain (children sometimes get the aura at the same time as the headache). An aura can present in the form of a variety of sensations such as suddenly smelling a certain smell, seeing spots or zigzags, feeling a twitch, excessive yawning, numbness or tingling in the face or one part of the body, or even weakness on one side of the body. Some migraine sufferers even crave certain foods, such as chocolate, as their aura. Nausea, vomiting, double vision and an extreme sensitivity to light, sound or smells often accompany migraines. Migraines can also be accompanied by a loss in memory, altered thinking capacity, and altered speech. Migraines can last anywhere from an hour to, in extreme cases, several days. Most migraines are severe enough that they cannot be ‘worked through’ and once the headache has passed a ‘headache hangover’ is often felt, which is a feeling of extreme fatigue, dizziness and difficulty concentrating. Neck pain may or may not be present during or after a migraine headache. Migraine headaches are often familial, meaning that they run in one’s family. Being depressed can also increase your likelihood of suffering a migraine headache, as can lack of restorative sleep or having chronic sinus problems. Migraines are more common in women than in men. Migraine headache triggers are not always known but some common food and drinks that may trigger migraines include certain red wines, cheeses, chocolate, excessive caffeine, pickled foods, foods containing monosodium glutatmate (MSG), citrus fruits and sourdough bread. Other common non-food related triggers include flickering lights, intense exercise, intense smells (such as perfume), weather changes (barometric changes), and menstruation cycles. Stress is an extremely common trigger of migraine headaches in many sufferers. The physiology of migraines is still being studied however it is accepted that there is an increased sensitivity in the brain to certain environmental triggers which then sets off a chemical chain of events in the brain. The migraine trigger causes a chemical release in the brain, which in turn affects the blood vessels of the brain, causing them to swell and release further chemicals. The chemicals released act as an irritant to the pain structures in the head and face including the trigeminal nerve and the area that it supplies, hence causing the headache. Altered levels of serotonin, which is an important brain chemical that regulates pain and mood, have also been associated with migraines. It has also been shown that during a migraine headache there is an altered blood flow to certain parts of the brain’s cortex such as the occipital (visual) cortex. Cluster headaches are an extremely painful type of headache, which comes on rapidly and occurs in a cyclic time frame, hence the name. Headaches occur over a specific time frame, usually a two to twelve week period and this is often related to a particular season of the year. During the cluster period, headaches generally occur every day (often more than once in a day) and often occur at the same time during the day. Time between headaches is pain-free. Cluster headaches often occur at night, generally within a couple of hours of going to sleep. Most cluster headaches are 30-90 minutes in duration but can be shorter or longer. Sufferers often describe the pain as burning and sharp like a red-hot stick poking through the eye. Cluster headaches occur on one side (and do not switch sides within a cluster period) and they are usually located around an eye but may extend to other areas of the head and neck. Other symptoms can include redness, swelling or tearing of the affected eye, droopiness of the affected eye, sweating of the face, and stuffy or runny nasal passages on the affected side. Sufferers of cluster headaches often also describe restlessness as a symptom of the headache; due to pain, the headache sufferer just can’t sit still. Fortunately in most cases, cluster headaches usually dissipate as quickly as they began. Although the exact cause of cluster headaches are unknown, the cause appears to be related to activation of the trigeminal nerve which supplies sensation to side of the face, jaw and eye. Triggering of the trigeminal nerve appears to occur for an unknown reason by a deep part in the brain called the hypothalamus. The hypothalamus is related to our ‘circadian rhythm’ which regulates our sleep and wake cycles. Activation of the trigeminal nerve appears to then trigger other cranial nerves in the area, which can lead to the symptoms such as tearing, nasal congestion, and eye redness. Triggers for cluster headaches can be strong smells, high altitudes, bright lights, heavy exercising or becoming overheated. Alcohol is also a well-known cluster headache trigger. An aura may occur with a cluster headache but it is uncommon. Cluster headaches are more common in men and are also more common in heavy smokers. Having a family member who also suffers from cluster headaches increases one’s chance of also suffering from cluster headaches. Cluster headaches can be described as episodic cluster headaches or chronic cluster headaches. An episodic cluster headache is a period of headaches then a significant period without headaches. Chronic cluster headache sufferers have very little remission time (less than approximately 14 days a year) that are headache free. Tension-type headaches are the most common type of headache and many people experience them regularly, particularly when under stress. For this reason, these headaches are also sometimes referred to as ‘stress headaches’. Aside from stress, tension-type headaches are reported to be commonly triggered by a number of other factors including hunger, fatigue, poor posture and eye strain. Tension-type headaches can last anywhere from 30 minutes up to even a week! The pain of a tension-type headache is generally described as a mild to moderate dull but constant and diffuse pain, and usually occurs on both sides of your head. Tension-type headaches are often described as a tight band around the head near the temples, or tightness and pressure at the head and around the lower neck and trapezius muscle. Tension-type headaches are not associated with any visual disturbances or auras and often the pain of a tension-type headache can be tolerated such that sufferers are able to ‘work through them’. For some people, however, the pain is more severe, can last a long time, and is unable to be ‘worked through’. Women are more than twice as likely to suffer from tension-type headaches than men. The underlying cause of tension-type headaches used to be thought of as increased tension in the muscles of the neck and face which then causes the headache pain. More recently, however, tension-type headaches have been thought to be linked to sufferers being hypersensitive to pain and stress, which then causes the headache. The neck pain and muscle soreness that results is thus a symptom of the headache rather than a cause of it, which was thought in the past. For this reason, along with migraines and cluster headaches, tension-type headaches are included in the category of primary headaches, which occur for no specific reason and are not the symptom of another underlying problem but rather thought to be as the result of altered brain function. Tension-type headaches can also be described as episodic or chronic. Episodic tension-type headaches occur once to twice a month whereas chronic tension-type headaches occur more than 15 days in a month. Cervical is the medical term meaning ‘relating to the neck’ and ‘genic’ means originating or coming from. Cervicogenic headaches are headaches that are associated with neck pain and stiffness; the cause of the headache comes from structures in the neck. As noted in the anatomy section above, the nerves that supply the joints of the upper three cervical vertebrae also supply the skin overlying the scalp, forehead, ears and eyes. Injury to structures in the upper neck such as ligaments, nerves, joints, muscles or other structures can refer pain and cause a headache. Cervicogenic headaches are most commonly felt on one side of the head but occasionally a cervicogenic headache can cause pain on both sides. These types of headaches typically occur due to excessive strain on the structures of the upper neck, which can occur from a traumatic event such as whiplash. More often than a traumatic event, however, cervicogenic headaches occur as the result of prolonged stress on the upper neck structures such as when sitting at a computer for prolonged periods, especially when sitting with poor posture. Sufferers of cervicogenic headaches often feel the headache come on right as they are in the aggravating neck position or as they move their neck, but a cervicogenic headache can also be felt hours after aggravating the neck structures. For instance, a cervicogenic headache may come on in the evening following or the next morning after driving for a long period or sitting in a plane. Pain is felt when the suboccipital structures of the neck or the neck itself is palpated or touched. Secondary pain may be felt down the neck and into the trapezius muscle area. Nerves in the neck that become entrapped or ‘pinched’ may also cause cervicogenic-type headaches. The sinuses of the face lie in the cheeks, behind the bridge of your nose, as well as in the forehead/brow area. The sinuses help to humidify air and secrete mucus to assist air filtration. Those suffering from a sinus headache often complain of the area ‘feeling full’. Pressure and fullness felt may even extend into the upper teeth area. Sinus headaches most often occur after an upper respiratory infection or cold. The upper respiratory infection or cold causes inflammation of the lining of the sinuses (sinusitis), which prevents draining of the mucus in the sinuses and then causes the build-up of pressure in the area. Inflammation may also occur as a result of an allergy. 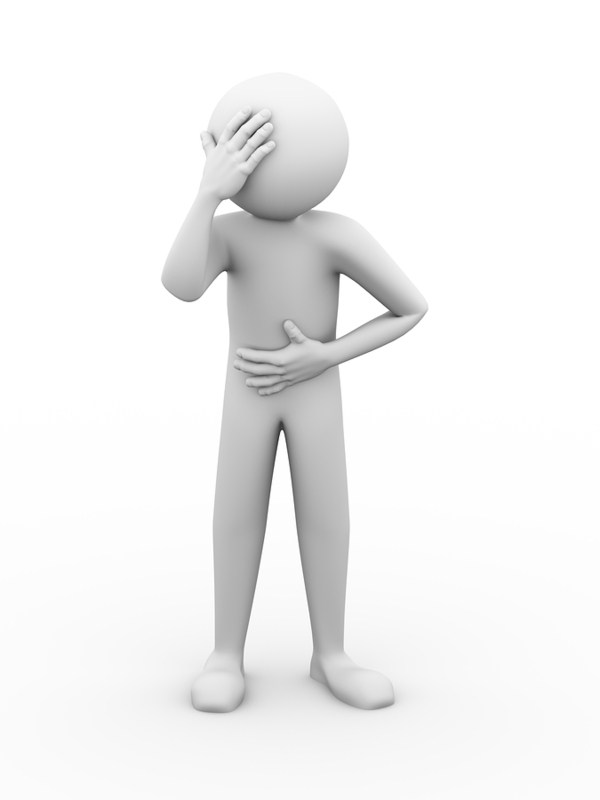 Sinus headaches are not associated with nausea or vomiting nor do they have a related aura. Often the pain of a sinus headache worsens when the sufferer bends forward, lies down, makes sudden movements, or when they first get out of bed due to the added pressure that the change in position causes. Sudden temperature changes, such as going from a warm house into the cold outdoors, can also increase the pain of a sinus headache. The face overlying the inflamed sinus may be tender to touch. Frequent colds, climbing or flying to high altitudes, frequent diving or swimming, or having a history of allergies such as hay fever increases your risk of suffering from a sinus headache. In addition, having any type of issue with your nasal passages such as polyps or a deviated septum, or can also put you at a higher risk of developing this type of headache. Sinus headaches are often confused with migraines or tension-type headaches. Many people who seek medical attention due to what they believe are sinus headaches are actually diagnosed as having migraines or tension-type headaches. TMJ disorders can commonly cause headaches. As mentioned above, the TMJ joint is a complicated joint and because of this easily becomes injured. In many cases it is obvious that one has a TMJ disorder because there will be pain around the jaw or ear as well as clicking in the joint or problems opening or closing the jaw itself. Headaches may develop related to these symptoms. In some TMJ cases, however, local TMJ pain may not be present and headaches may be the only symptom one feels so the TMJ joint gets overlooked as the culprit. TMJ-related headaches can also closely mimic tension-type headaches, cervicogenic headaches, migraines, and sinus-related headaches therefore a thorough examination of the TMJ should be included in any physical examination for headaches to either rule the TMJ joint in or out. Your healthcare professional will need to ask a variety of questions to determine the cause of your headache(s). Firstly, when determining the reason for a headache it should be noted that any sudden and severe headache is indicative of a serious problem and should be treated as a medical emergency, which needs to be investigated immediately. Most people will only seek professional assistance in determining the cause of a headache once their headache becomes regular, constant, or causes pain that is affecting their ability to function. In order to determine the cause of your headaches your health care professional will want to know when your headaches began, if you feel they are related to any specific event or trigger, how severe they get, how long they last, if they come with an aura, and if they are consistently in one area of your head. They will ask you questions about what aggravates your headache pain and whether or not you can do anything to relieve your headache such as take medication, or massage your muscles. They will also want to know about your general health, any medications you are taking, any history of headaches in your family, and any other symptoms you may be experiencing such as neck, ear, eye or jaw pain. In order to determine if your headache is being caused by or aggravated by your neck, your Physical Therapist at Purposed Physical Therapy will assess your cervical spine. They will determine if there is any related muscular or fascial tension affecting your pain, whether there are any stiff or loose joints in your neck, or if there is any nerve tension in the area that could be related to your headaches. They will specifically assess the upper cervical region (C1-3) but will also need to assess your lower neck and may also assess your thoracic spine area. Your Physical Therapist will also assess your TMJ to determine if there is any dysfunction in this joint that could be the direct cause of your headaches or may be contributing to your symptoms. In most cases investigations such as x-rays, MRIs, CTs, or other investigative tests will not show up any structural damage to the brain or neck and therefore in most cases, these tests are not recommended particularly when dealing with primary type headaches. These types of tests (or others) however, may be requested particularly in secondary type headaches in order to rule out specific diseases or processes, which may be related to the ongoing headaches. Investigative tests may be used to look for issues such as hormonal problems, brain aneurysms or brain tumors. It may be recommended that you obtain a professional examination of your eyes and ears as well as a dental exam in order to help determine the cause of your headaches as some disorders of these areas can cause headaches as a symptom. Some headaches are easier to treat than others. Obviously knowing the cause of a headache makes the required treatment much easier to define. For many headache sufferers, medication is the mainstay of treatment. The three most common medications available over the counter are acetaminophen/paracetemol based, acetylsalicylic acid based, or ibuprofen based. Each medication has its own contraindications therefore you should check with your doctor or pharmacist before using any to treat your symptoms. For migraines, cluster or tension-type headaches some prescription drugs can be useful and should be discussed with your doctor. In many cases if an aura occurs and the patient takes the medication during the time of the aura, a full-blown headache can be avoided or the intensity of the impending headache can be decreased. In severe or chronic headache cases, patients and healthcare professionals may choose to resort to more invasive procedures in order to manage symptoms and allow the patient to function. Treatments such as botox injections for migraine headaches or nerve ablations for cervicogenic headaches may be options that can be discussed with your doctor. Other types of injections or surgeries may also be options depending on your symptoms, severity, and the types of treatments you have already tried. For some types of headaches, Physical Therapy can be a very effective form of treatment. Physical Therapy can be used either on its own or in conjunction with medication. In certain types of headaches, such as tension-type headaches, cervical headaches, or TMJ-related headaches Physical Therapy treatment can be very useful to alleviate your symptoms and to help prevent recurrent headaches. Your Physical Therapist will first need to confirm that your headaches and associated symptoms are connected to issues related to your neck, your jaw, or other structures in the head or face which can be assisted by Physical Therapy treatment. Your Physical Therapist will ask you several questions related to your headaches symptoms in order to confirm the cause of your headache (see Diagnosis above). In addition to asking a wide variety of questions they will need to do a physical assessment to confirm that Physical Therapy will be able to assist your headaches. They will examine the posture and alignment of your neck, shoulders, and upper back as well as check your neck and TMJ joint range of motion, and associated muscle flexibility and strength. Your Physical Therapist will feel your neck to determine if the joints in your neck are stiff or loose and to determine which areas around your neck, shoulders, face and scalp are tender or painful. They will do the same to your TMJ and its related muscles. Your Physical Therapist may also check the overall strength in your upper extremities, as well as check your sensation, reflexes, and the functioning of your cranial nerves. If it is determined that your headaches are indeed from a cause which Physical Therapy treatment can assist, then your therapist will proceed with treatment. Again, depending on your symptoms and the cause of your headaches, a variety of techniques may be used. Manual therapy including massage, as well as joint mobilization or manipulation for the neck, upper back or TMJ commonly improve symptoms. Your therapist may also stretch out any tight muscles contributing to your headaches and will also teach you how to do this yourself. In addition, they will teach you how to strengthen the appropriate muscles around your head, neck, shoulders and TMJ in order to ease your symptoms and avoid headaches in the future. They will also encourage strengthening of the core muscles of your trunk and neck in order to support your head and assist with symptoms. Your Physical Therapist will discuss your posture and alignment and ensure you are aware of the posturing positions that may contribute to your headache pain or related symptoms. In some cases modalities such as ice, heat, ultrasound, interferential current, laser, transcutaneous electrical muscle stimulators (TENS) or muscle stimulators may be used to ease your headache pain or other related symptoms. Tape or strapping may also be used to relieve tension on muscles that may be tight, elongated, or weak. Braces that assist with posturing may also be useful in some cases. Your Physical Therapist will also provide education for self-managing your headache and related symptoms when they occur. They will discuss techniques such as retreating to a quiet and dark room, using self-massage of the head, neck, jaw and temples, applying ice or heat to the painful area or the neck and shoulders, avoiding computer or other screens, drinking water, or eating a small amount of food once symptoms appear. If after a thorough examination your Physical Therapist does not feel that your headaches are being caused by a reason that is amenable to Physical Therapy treatment then they will refer you to your doctor for further investigation. Similarly, if your symptoms worsen significantly or Physical Therapy treatment is not improving your symptoms as your Physical Therapist expects it should, they will also refer you on to your doctor for further investigation. Headaches are caused from a variety of reasons. Delineating the cause of a headache makes the treatment easier to determine. Physical Therapy treatment can be very effective in specific types of headaches and should always be considered as an option in order to decrease headache pain frequency as well as related symptoms.